If you want to hit that RESET button this Summer, there are a number of ways to effectively do that. One of them for me was hiking Mt. Batulao! It is the Perfect Go-To mountain for beginners and the like. The first time I went there last April 12 2014, it was under siege by forest fires. Nonetheless, it was an amazing journey. We traverse the mountain from the Old Trail to the New Trail. We camped at the new campsite it the new trail. Star gazed. Drank our way to oblivion yet manages to cooked food for the soul. Unlike popular beliefs, returning to a place you have visited before for me is never the SAME! The people changes, the experiences changes, the environment changes and of course, you yourself changes. Mt. Batulao I’ve seen this Sunday (June 23) was reaching her peak of magnificence. There are still burned areas but unnoticeable. The bald trees have now grown leaves. The grass now as tall as a man are turning its color to that perfect hue of green. All is well for Her. Our IT for the day hike was go up the summit via the new trail then down the old one. If someone ask me right now which of the two hike patterns would I recommend(past hike vs this hike), I would say try any of the two, and go back to do the other. There is no comparison, because its two different experiences which are unforgettable! It was challenging for us because we had no ample sleep. But with our perseverance and eagerness, we prevailed! Peak 8 has the perfect backdrop to an amazing photo! 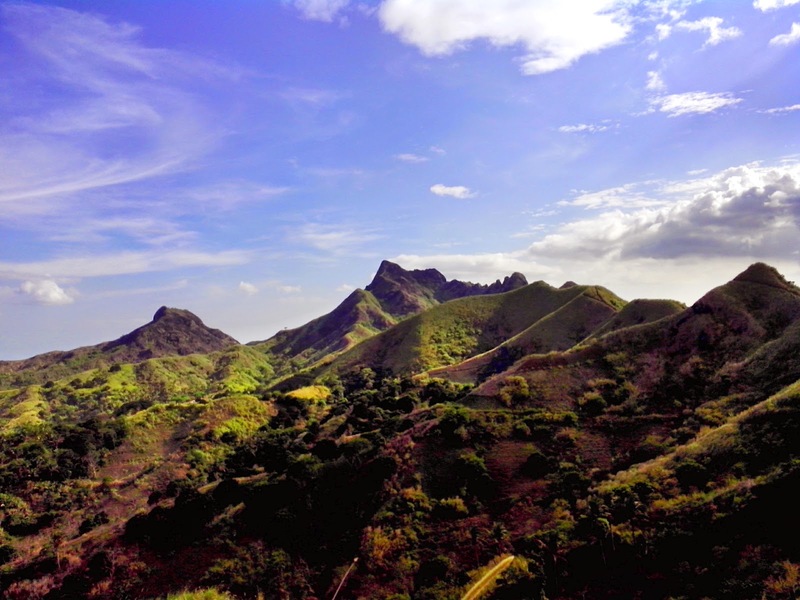 While the summit holds the grandeur of seeing all the peaks plus more of the lands and mountains surrounding Batangas – Tagaytay – Laguna area. We were the only hikers who were at the summit when we arrived. We owned the place, took selfies, enjoyed the view, Go Pro moments, laughed, cried, reminisce and bask in the beauty of Mt. Batulao. Hi Dan, I Enjoy reading your "adventureblog" 😁 . Thank you! hahah Adventureblog tlaga. really? nice! atleast Baguio nga ang mgandang meet halfway! hahah. Go for traverse sa Mt. Ulap! hehe.